Matt is a Certified Permaculture Teacher and "Eco-Social Worker" based in the Delaware Valley. He lives in Philadelphia, Pennsylvania, and works across the river with young men and women leading a green jobs & green living training program in Camden, New Jersey. With a B.S. in Mechanical Engineering and advanced studies in Regenerative Design and Nature Awareness, Matt brings a clear logic - and an ear for bird language! - to the outdoor classroom. An avid paddleboarder and wild foods enthusiast, Matt finds peace & recreation on & along the creeks that naturally connect the regrowing forests and farmlands with suburban splendor and the post-industrial riverfront cities. ​Christina is a permaculture agronomist, K-12 certified educator and social entrepreneur who specializes in developing sustainability literacy programs in multicultural contexts. 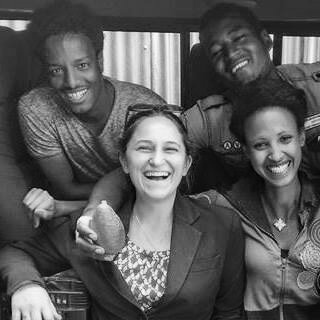 Focused on working with immigrant populations and English Language Learners, Christina has developed participatory programs with public schools, nonprofits, and universities in New York City, Pennsylvania, Ukraine, Virginia, and Ethiopia. Her curricula have been featured in the New York Times, the MacArthur Foundation documentary “I Learn America,” and Al Jazeera America. After working for two years as Director of Agronomy for GreenPath food in Ethiopia, Christina is honored to support Beyond Organic Design at the exciting intersection of literacy education, ecological agriculture, and social entrepreneurship. Laura comes to Beyond Organic Design with over 25 years of experience in early childhood education. 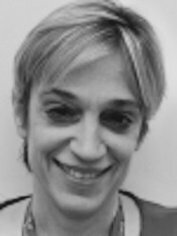 A graduate of Bank Street College of Education, New York University, and Hunter College, Laura has worked as a teacher and educational supervisor in a number of general and special educational environments, including the Jewish Guild for the Blind and the Association to Benefit Children: Cassidy's Place. As an educator, Laura is drawn to the philosophy of permaculture and its focus on the development of children's critical thinking and problem-solving skills. Laura is thrilled to be on the BOD Board of Directors to share her knowledge of educational practices and to further BOD's outreach about the importance of green education.